Former National Security Adviser Michael Flynn pleaded guilty Friday to making false statements to the FBI – as part of a deal that involves his full cooperation with investigators in Special Counsel Robert Mueller’s Russia probe. 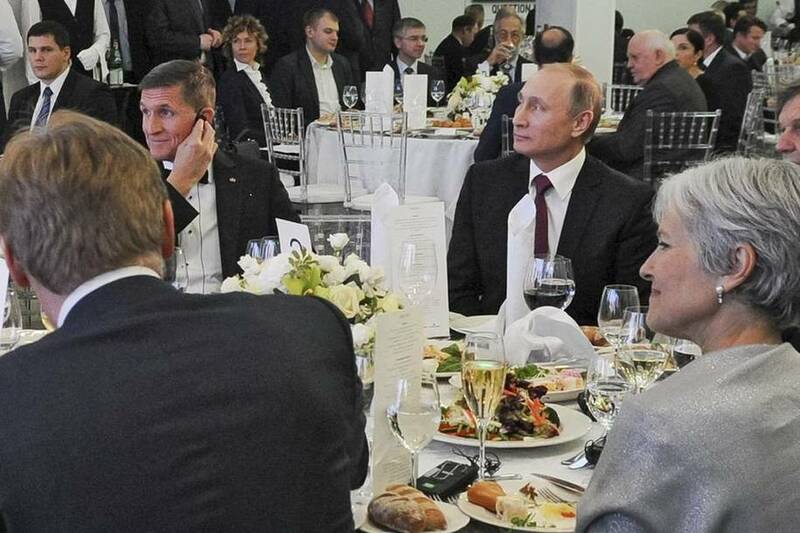 The documents say that in late December 2016, Flynn called a senior transition official (identified as the “PTT official”) to ask what to communicate to the Russian ambassador about sanctions. That official and Flynn discussed how they didn’t want Russia to “escalate the situation,” something Flynn immediately told the ambassador in a phone call. A source with full knowledge of the investigation told Fox News on Friday that the “PTT official” named in the document is in fact K.T. McFarland, who was Flynn’s deputy at the time and previously was a Fox News national security analyst. The documents also say that in mid-December, a “very senior member” of the Trump transition team directed Flynn to contact foreign governments including Russia over a United Nations vote regarding Israeli settlements. Flynn in turn contacted the Russian ambassador. The Associated Press reports the “very senior” official was Trump son-in-law Jared Kushner. A source with knowledge of the investigation, however, told Fox News that this was part of an effort involving several transition officials making numerous calls. The source claimed Kushner did not specifically direct Flynn to call Russia, though did get the ball rolling on the phone calls in general. President Trump himself also was said to be involved in directing outreach to other countries. A former senior intelligence officer with knowledge of Trump transition activities told Fox News on Friday that then-President-elect Trump directed Flynn as well as McFarland during that period to contact the Russians — while also directing the team to contact 12 other countries. “The transition team felt that the Obama White House had completely abandoned any coherent foreign policy and had to fill the vacuum,” the former official told Fox News. The purpose of the calls, according to the source, was to assure the other nations that the incoming administration would soon be in place and not to overreact to last-minute actions taken by the Obama team. Flynn, a retired Army lieutenant general, becomes the first Trump ex-White House official charged in the special counsel probe. His tenure at the White House was brief — he was fired for similar conduct, pertaining to undisclosed discussions with the Russians — and Flynn had been under investigation even before the special counsel probe over lobbying work for Turkey and other issues. The fact that he faced just one count prompted immediate speculation that Flynn was cooperating and offering information to Mueller’s team. Democrats, meanwhile, used Friday’s development to up the pressure on Republicans to give the investigation into Russian meddling in the 2016 election space to proceed. “This time, the president can’t get away with claiming these charges aren’t about his inner circle’s contacts with Russia, and he can’t dismiss Michael Flynn as some low-level aide,” Democratic National Committee Chairman Tom Perez said in a statement. Mueller’s team announced charges last month against three other Trump campaign officials: former chairman Paul Manafort and his business associate Rick Gates, and a former foreign policy adviser, George Papadopoulos. A Flynn plea deal had been rumored ever since his attorneys informed President Trump’s legal team they could no longer discuss the investigation.